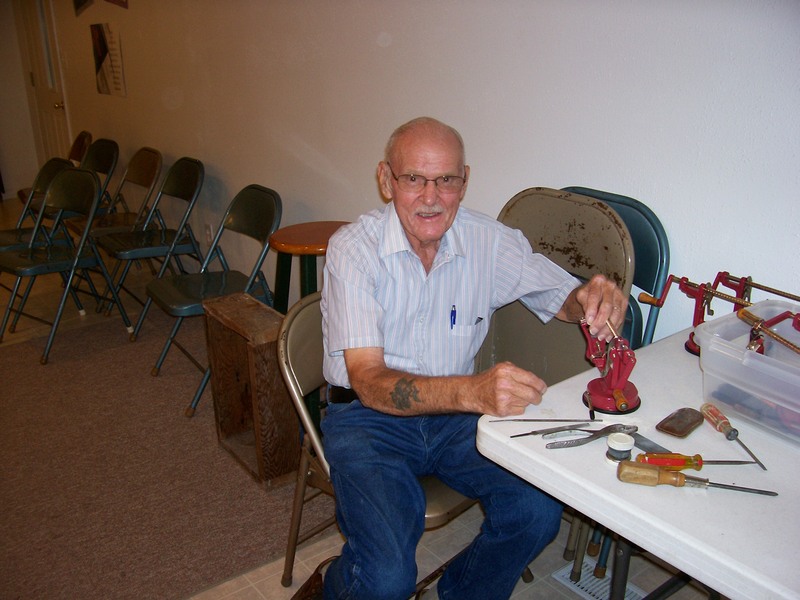 Posted September 23, 2014 by admin News & Events. 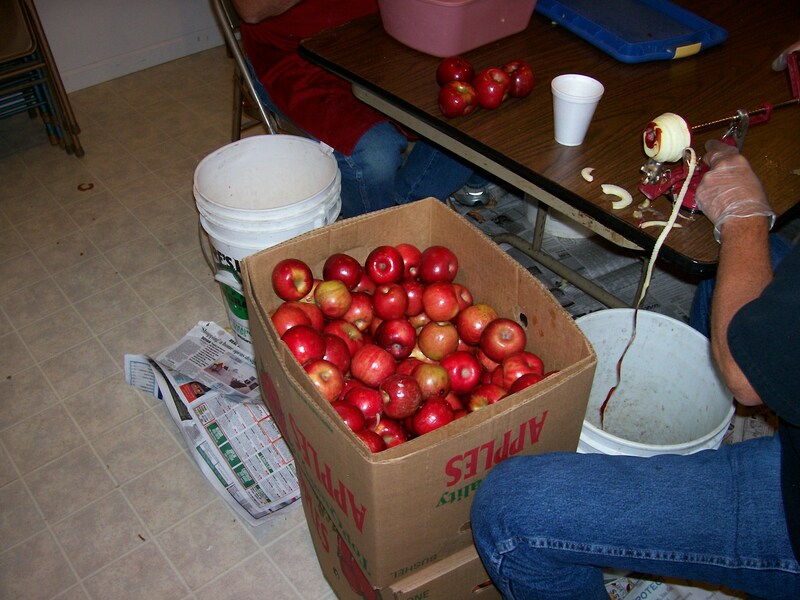 I’ll bet you didn’t know Apple Pie Production had its own season, but that’s what takes place each fall at FCC in Golden City, MO. 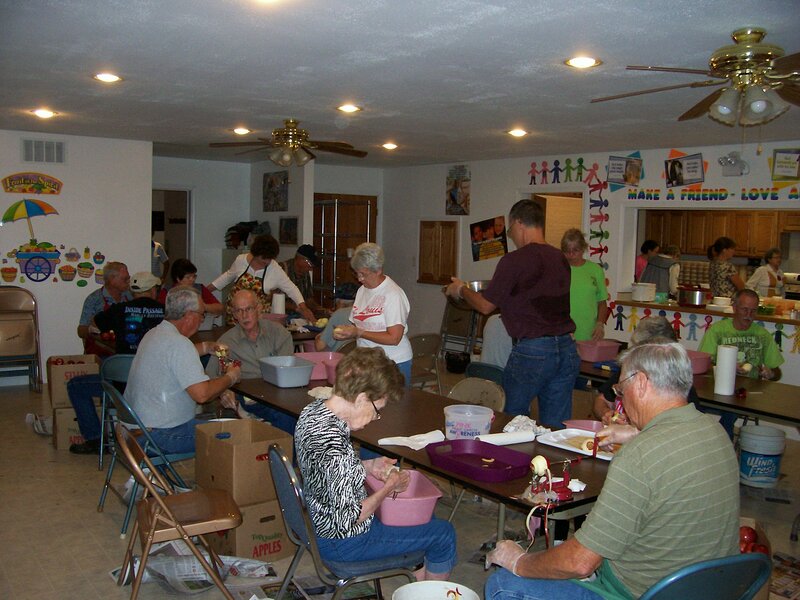 Each September we have 25- 30 people participate ranging from age 5 to well into the 90’s. We average around 400 pies each Monday and they are always gone by Friday! 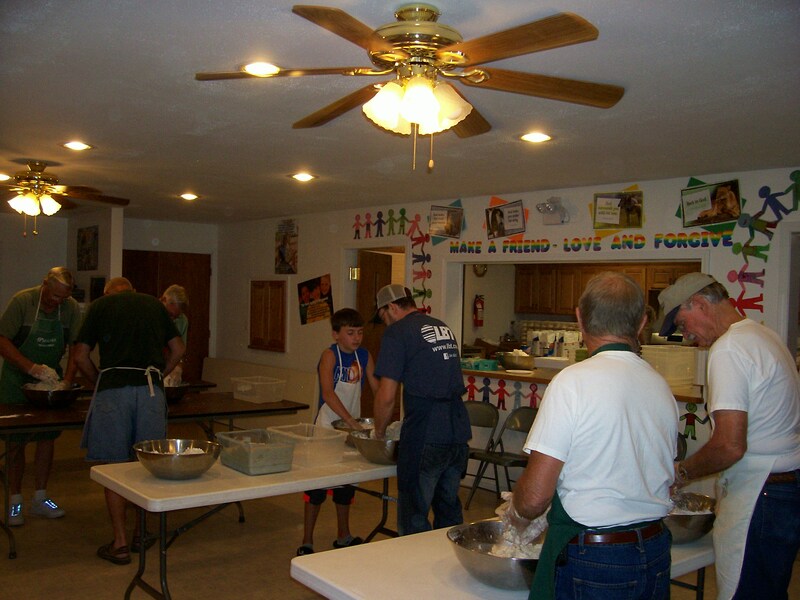 Some of various stages of production are; prep work which includes mixing ingredients, kneading the dough on Sunday afternoon, then on Monday, peeling the apples, actual pie construction, and packaging the finished product. What a fellowship! Apple Peelers are too numerous to name, can you?